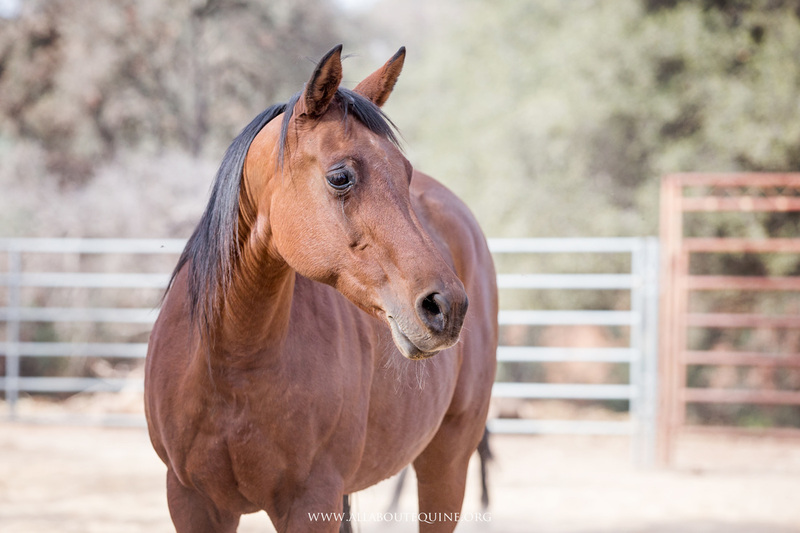 Aziza, meaning “cherished or beloved”, is a beautiful, mid-teen mare that came to All About Equine from a former Arabian breeding ranch, Coffey's Arabians, after the last family member passed away. Aziza was living with three other mares on a large, lush green pasture, and a stallion that was located in another area on the property. No documentation was found for the horses, but it appears these are the last of the Coffey Arabians. 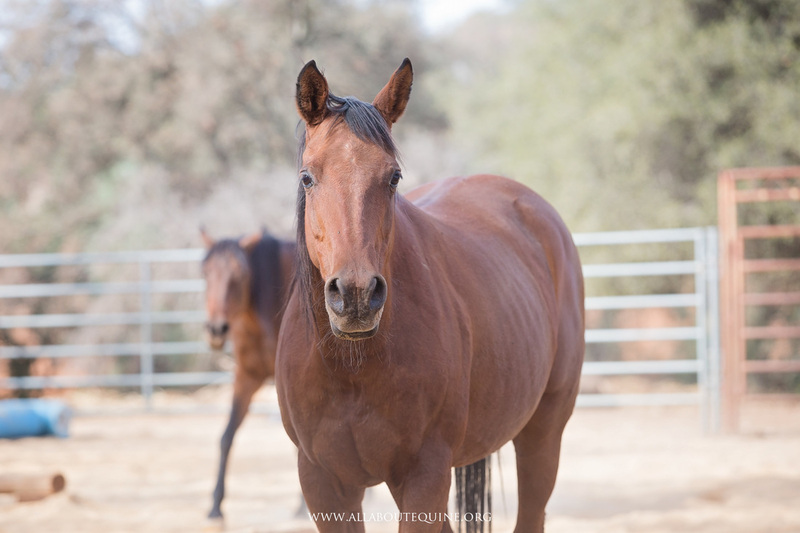 Two of the horses were friendly and social, while Aziza and another mare were feral. It appeared she had not been handled, but it was quickly apparent she was familiar with humans and a halter. Aziza had foundered. Her hooves were in bad condition, and they appeared to have been neglected for quite time. She is making great progress, She is on a frequent hoof care program, and her hooves have improved substantially. 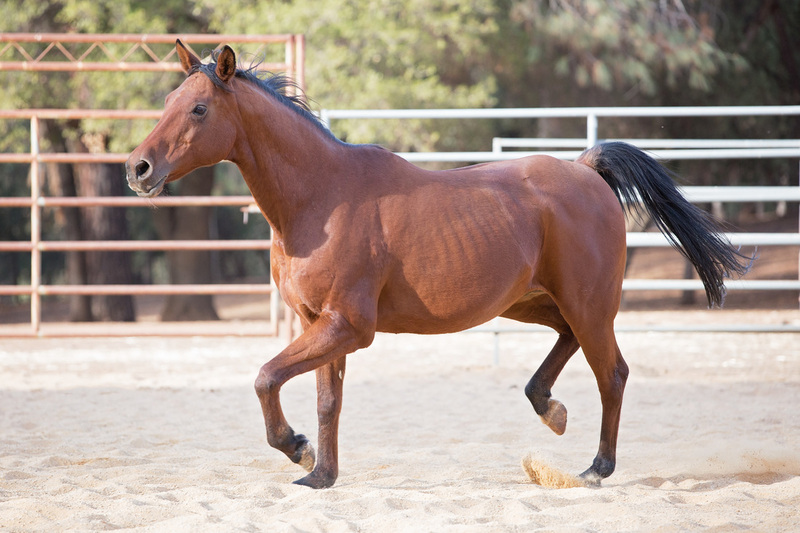 She will take an experienced and patient handler and will likely be limited as a companion horse. Aziza needs housing on a dry lot or non-grassy pasture. 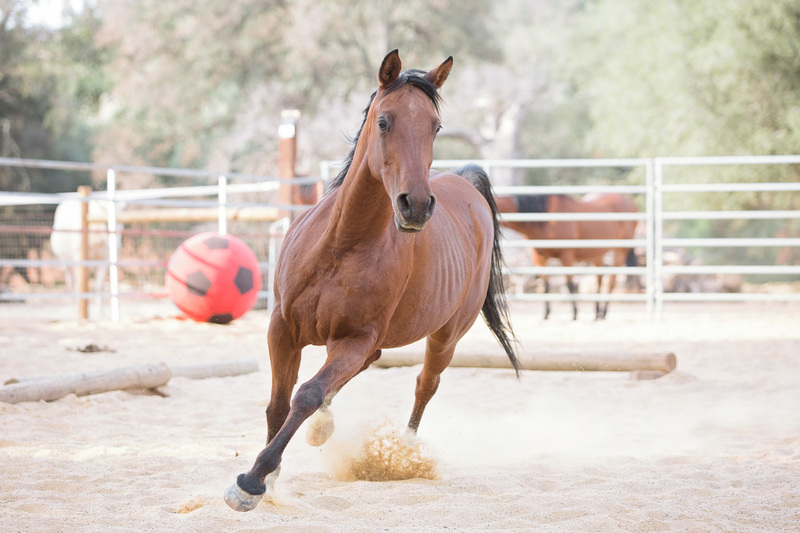 The ideal situation for Aziza would be a companion home with Layla and Nailah, her lifelong pasture mates. Janis Jones, the former Mrs. Michael Coffey, assisted All About Equine in this rescue and ended up adopting the black stallion (now a gelding) from this same group. 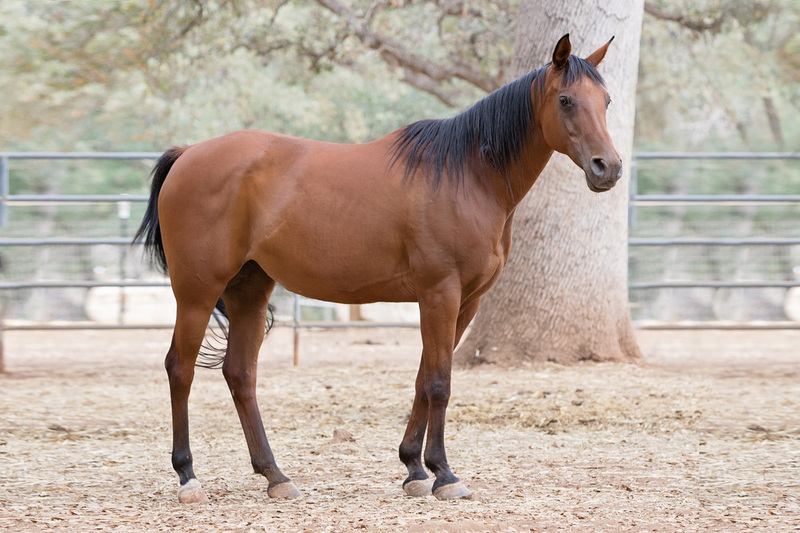 Per Dr. Jones, "The Coffeys were known as one of the finest breeders of Egyptian Arabians in the United States, and these mares are most probably of the Shiko Ibn Sheikh line (Shiko photo), a line known for beauty and performance. Originally, Richard Pritzlaff of Rancho San Ignacio in New Mexico imported and bred these straight Egyptian horses and Dale and Ella Coffey and son, Michael, bought the Pritzlaff stallion Shiko Ibn Sheikh and had great success breeding this line in California. You can see many of the hundreds of Shiko get listed on the Arabian Horse Association website. While the registration papers for these horses have not been found, it is most likely that these are all purebred Egyptian Arabian horses of the Shiko Ibn Sheikh line, and Dr. Jones is continuing her research into the pedigrees. That said, there is no question that the Coffey horses were wonderful family and performance horses, and Janis is delighted with her rescue horse whom she has named Zorro." 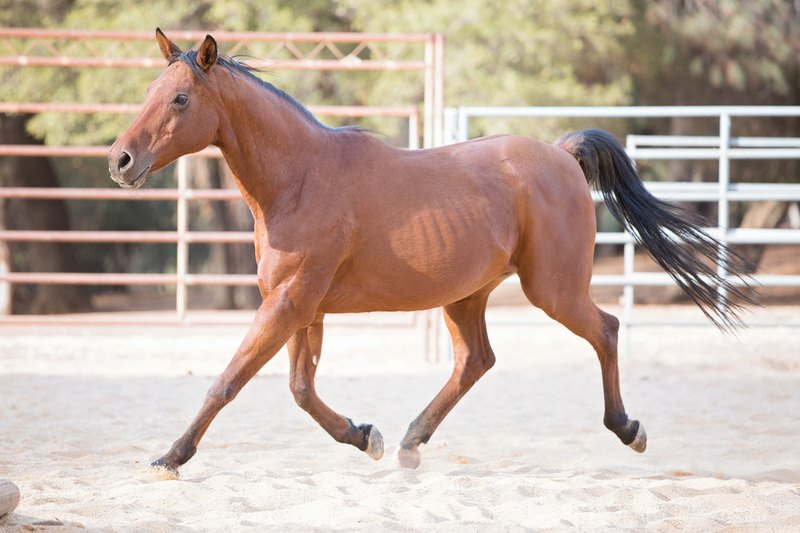 As she says, there is no finer Arabian than a Shiko horse, and she urges you to meet the mares to see why. Aziza is up to date with vaccinations, deworming, and hoof and dental and care; however, handling/trimming her hooves is still a work in progress. Her hooves will need frequent trimming and she may require shoes due to founder history.